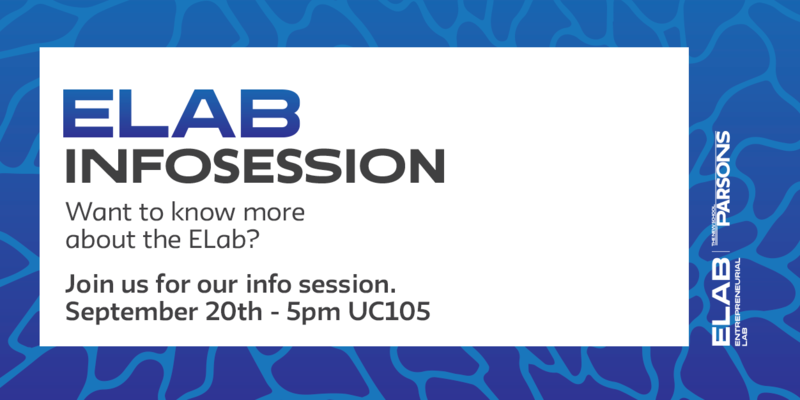 Join us for ELab’s 2019 Information Session ! Parsons ELab is looking for entrepreneurs interested in taking the next step in launching their business! Our 12month incubator program is committed to supporting promising startups. 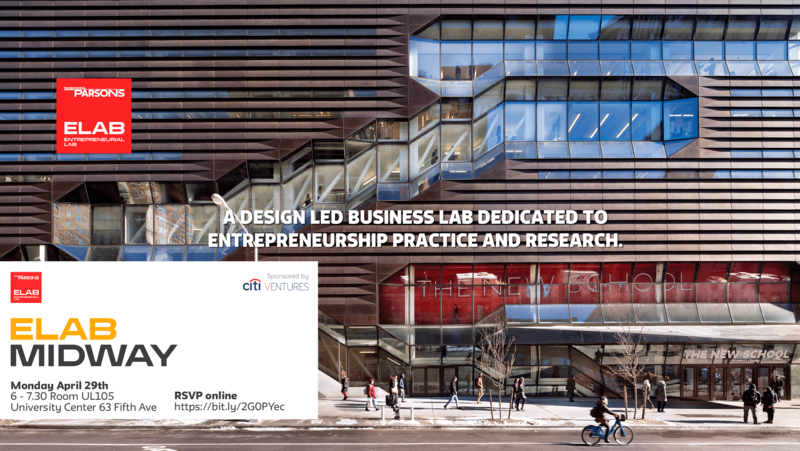 If you’ve ever dreamed about turning your skills, creativity and passion into a business, join the Parsons ELab Info Session to learn about our offerings, with special focus on the 12-Month Fellowship and what it takes to be an ELab fellow. Get all of your questions answered at our Info session! No matter what stage you’re at, you’ll get a better picture of ELab’s Incubator program for the 2019 Cohort year, our application process and great tips to make your application stand out! The 2018 Call for ELab’s Incubator program is now open – Apply online here, deadline is October 1st!